Caernarfon was not always the Peaceful town it is Today! Now the bustling seaside market town and historical wonder clad in ancient bricks with a glorious seaside dockland and forestry to boot not to mention the Snowdonia Hotels to be found here, this idyllic ancient settlement is- let’s not forget – a fortress and so purpose-built to defend against invading attackers. So with this in mind – let us delve into the history of Caernarfon and learn of the great battles that take place here. The Welsh for many years stood strong against English Saxon invasions and held true to their homeland with ferocious vigilance and vigour, however, after centuries, King Edward began his campaign to capture the Welsh lands. Caernarfon, as you may know, was the defining construction by the English king Edward in order to consolidate power throughout Wales by establishing a strong ‘Iron Ring’ infrastructure. It was the Administrative capital of North Wales – and as a result, the castle and the surrounding walled town was built to be on a grand scale. It also had symbolic significance as the Roman fortress of Segontium was located nearby. The Castle and Town was sacked by Madog ap Llywelyn in 1294 in a revolt against the English powers that be, this was timed so King Edward’s forces would be on campaign in France, however, unfortunately for the Welsh, the bad weather had prevented Edward from sailing. The attack on the continent was quickly cancelled and Edward turned his attention to Wales. Caernarfon was overrun by Madog’s forces and the castle was occupied. The rebellion only lasted a year, and it wasn’t until Owain Glyndwr’s rebellion in the 15th century that a longer rebellion was enacted. For over 2 centuries after the conquest of Wales by the English, the arrangements established by Edward I for the Governance for the Country arranged in place – This was in large parts the iron ring of castles that was constructed. The town and castle were besieged by Owain Glyndwr with the Glyndwr Rising (1400-1415). 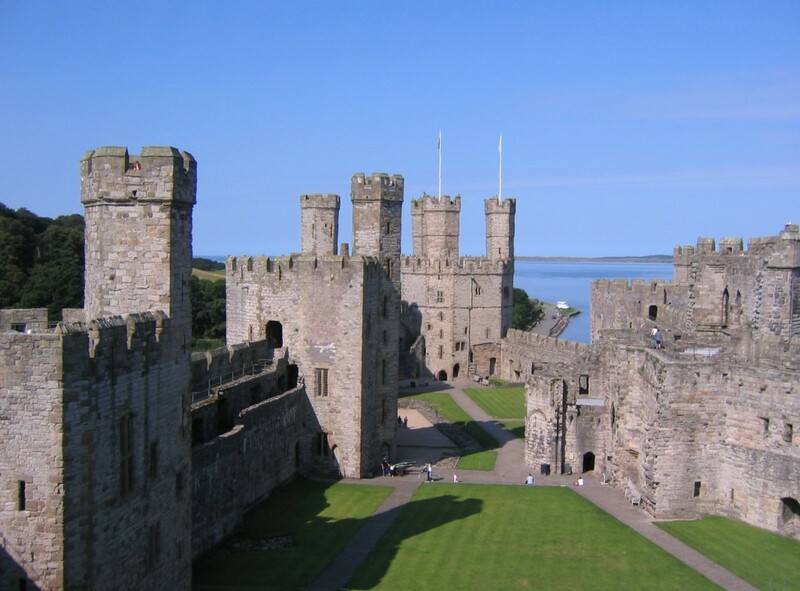 The battle ended without a clear winner, with 300 Welsh soldiers dead – however it demonstrated that Glyndwr’s army had the ability to attack any English settlements that they so desired, it also isolated Caernarfon from its support network – The English Powers. This was an incredibly useful step-up in Owain’s strategic position during this rebellion. Although Owain’s rebellion eventually failed, Owain is hailed as a great Welsh hero fighting for the preservation of the culture of his homeland – often known as the Welsh William Wallace. He disappeared after the rebellion and was never caught. 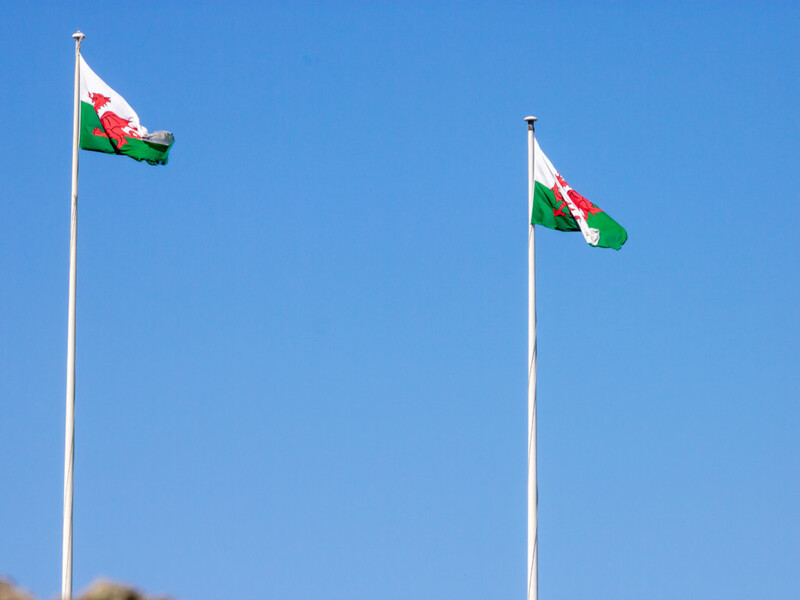 Today, however, it is the Welsh Flag which flies proudly over Caernarfon Castle.